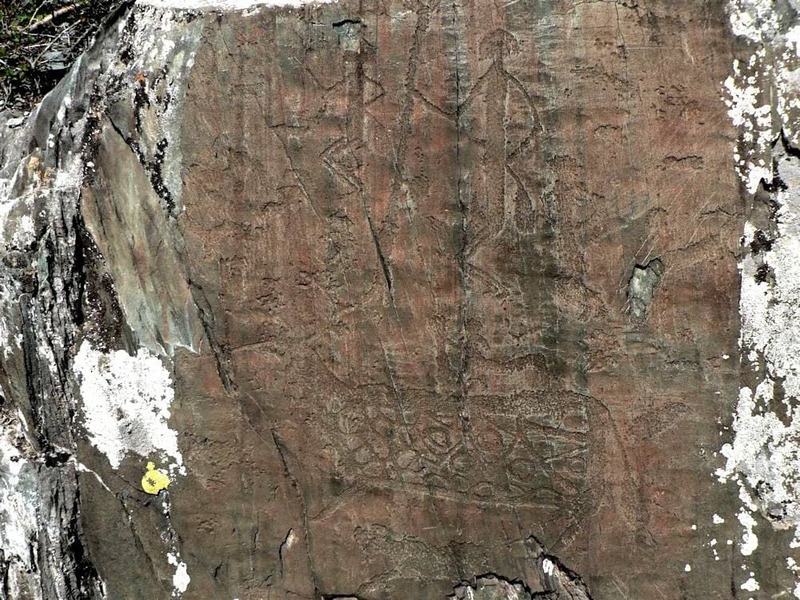 Kalbak-Tash is a unique complex of ancient petroglyphs located in Ongudai district, at 723 km of the Chuiskiy tract. 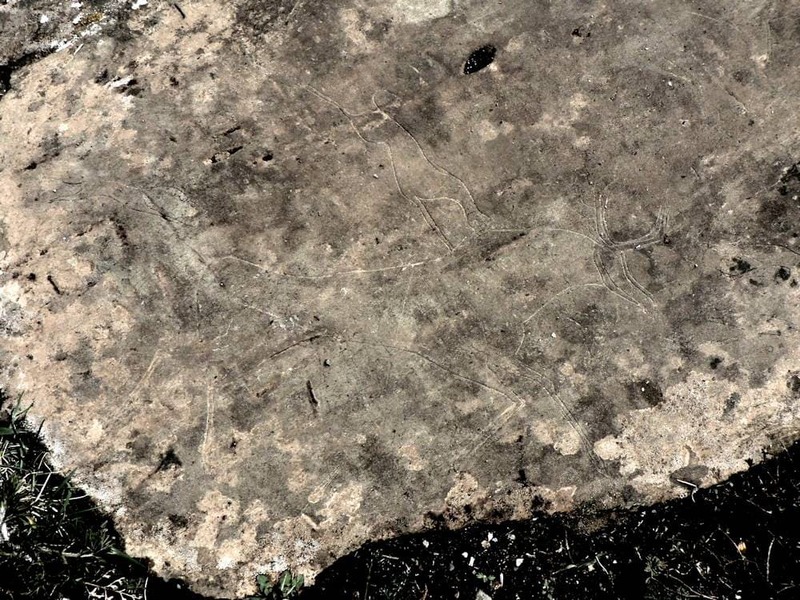 In terms of the variety, chronological depth, and quality of its imagery, Kalbak-Tash offers an unusually valuable and continuous record of human expressive imagery in the Altai region, from the third millennium B.C. to the late Turkic period. The name “kalbak-tash” is translated from Altaian language as a “flat stone”. More than 5000 cave paintings are carved on the flat rocks of the hill which dominates in the valley of the river Chuya. Images occur here alone, in coherent and intended compositions, and in unrelated groupings. 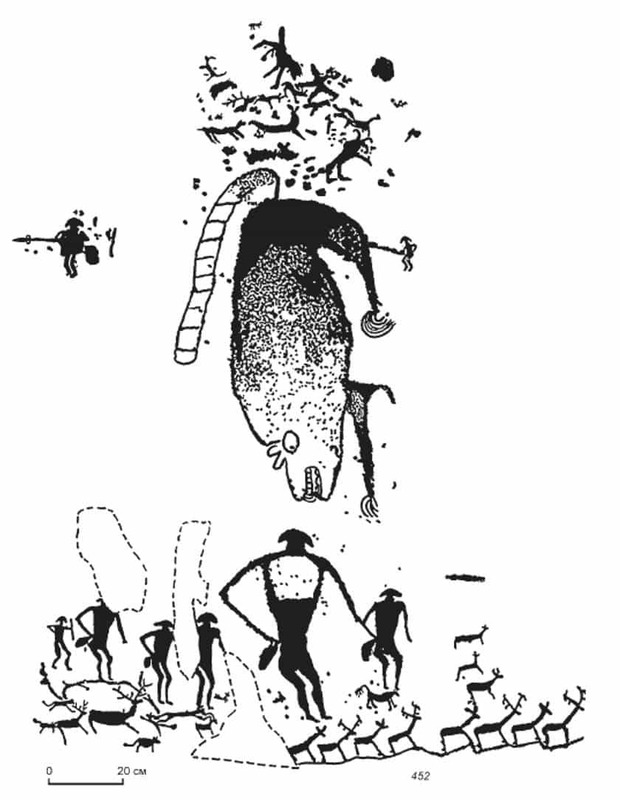 These representations include realistic and easily recognized animals as well as 80 easily discerned human types; but they also include syncretic animals, animals of an extraordinary fascinating character, and anthropomorphic compositions which must have emerged from traditions of religious belief, from myth, and from epic poetry. 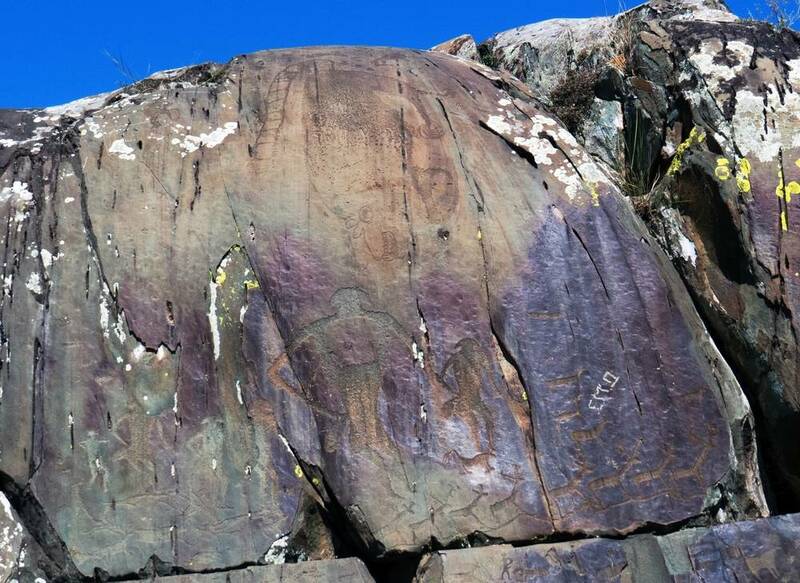 Pictures are carved in the rocks with stone or metal tools using several different techniques. 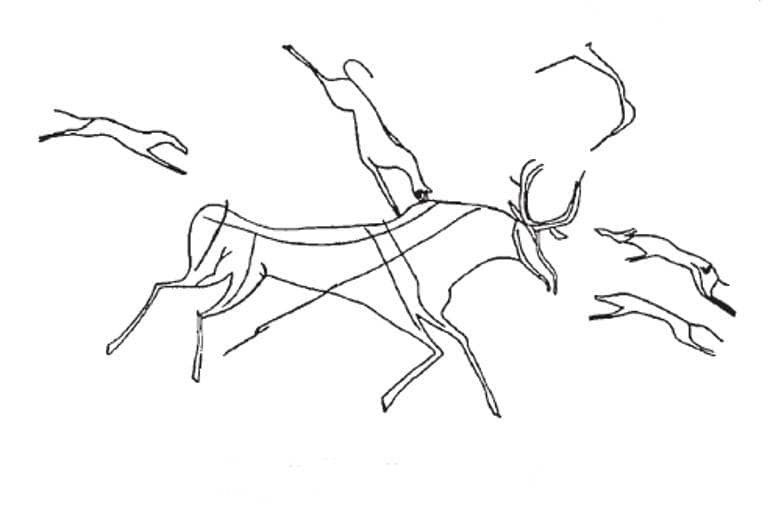 The Neolithic period (6000-4000 BC) – large pictures of animals, such as deer, goats, camels. Eneolithic-Bronze Age (3000-1000 BC) – the major group of images – both male and female characters, chariots and carts pulled by pack-oxen, cattle drivers and warriors, fantastic predators and pets. Scythian epoch (800-300 BC) – petroglyphs with scenes of hunting for wildlife, and also many animals – goats, wolves, dogs and feline predators. 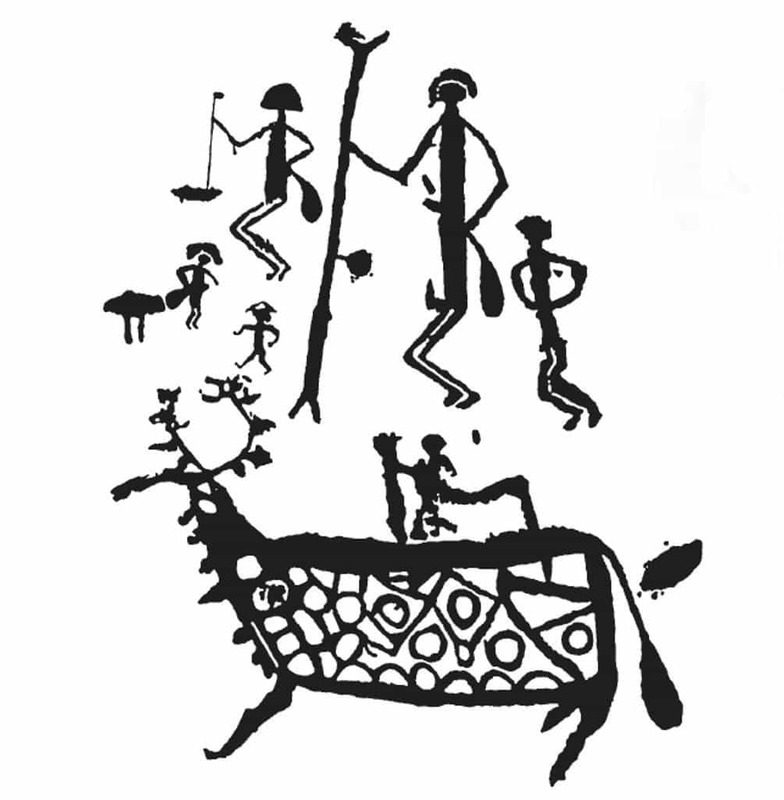 Old Turkic era (700-1000 AD) – hunting parties, fantastic images of wild bulls and bears, Turkic runic inscriptions. One of the most interesting parts is the group of the men with mushroom-shaped hats and a kind of tail or waist-pack. There is a square on the chest of each man that could be representing the place of the soul. Above the tailed people it is easy to see a huge and bizarre creature with large teeth in his maw and a long tail. One version about this image is that this monster was a devourer of souls, which cleaned them from their sins before being allowed to enter the upper world. It is the perception of the world of that time and culture. Another interesting place is a sanctuary for women where they asked gods to give them children. A lot of schematic depictions of women are carved there showing asking for the child, being pregnant and giving birth. 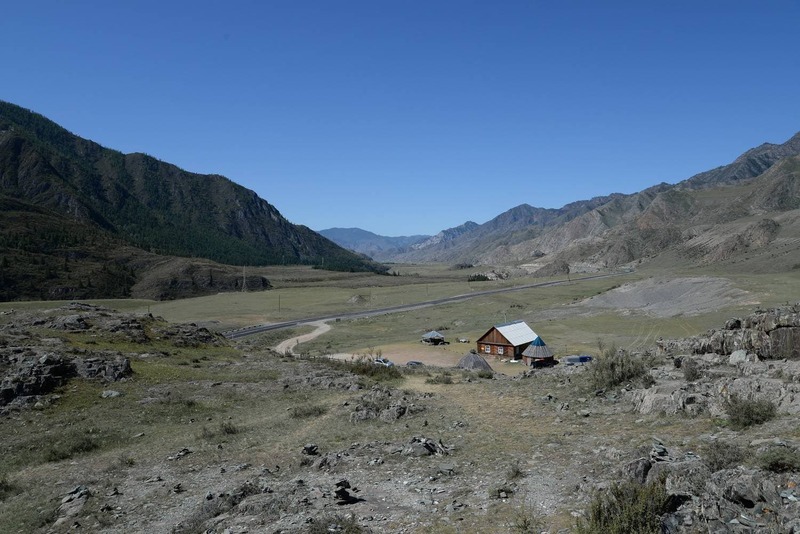 Kalbak-Tash has always been a sacred place for the people living here.